Please be advised that all players must be financial members of the CBTA Inc. The first mentioned team provides the balls for the match and the cost to be shared. The teams playing the semi finals shall share the court hire cost for their match. Points: The match shall be determined by sets won; one point for every set won; in the event of an unfinished set the points shall be shared. 1.5 points to each team for a wet match. Format: 2 Man Team; 3 Sets with Tie Breaker at 6 games all. Duration: 7.45pm Start - 10.15pm Finish. The game in progress at 10.15pm is to be completed and if the set is unfinished the point for the set shall be shared. Start time: Players are required to enter the court at 7.45pm, have a 5 minute hit-up, and then commence the match. If a team does not have a pair to start the match by 7.45pm the opposition can claim the first set. 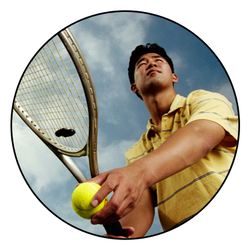 Handicaps: No handicaps will be applied to each set. Competition results will be maintained and handicaps tracked to help rank teams into either an A or B group for subsequent competitions. The A teams and the B teams will be reviewed at the end of each competition based on results reviewed by Ben. Substitution of Players: A player can be substituted in all the rounds of the competition for any reason. A qualified player can only be substituted in finals to replace an injured player. A player must have played two matches in the round to be eligible to play in either of the finals. A minimum of one of the two matches has to be in the player's registered team. Each eligible player must have played at least one actual match i.e. a player registered for two forfeits or washouts is ineligible to play in the final. Points accumulated in the round of the competition. For teams on equal points – Count back:-Games Played versus Games won expressed as a percentage. For teams still equal after Item 2. The Head to Head result between the teams in question. For teams where either a draw or a washout on the head to head result, Games won results versus the team that came first apply. 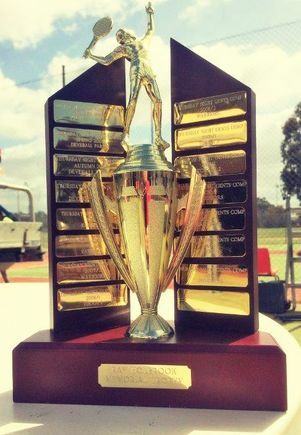 The Final shall be played at the Panania Tennis Centre (PTC). The Format: 1 V 4 and 2 V 3.